Sorrento Double Pedestal Credenza, with 2-File/File Drawer Pedestals. 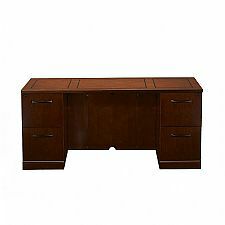 Choice of Bourbon Cherry finish on cherry veneer border and walnut inlays bordering Bird's Eye maple panels OR Espresso finish on Walnut veneer. 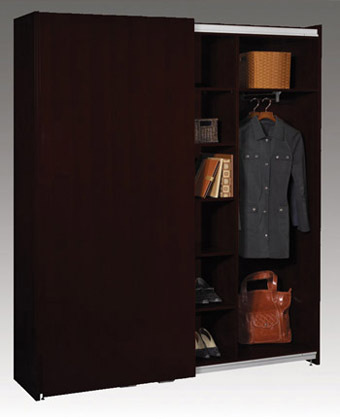 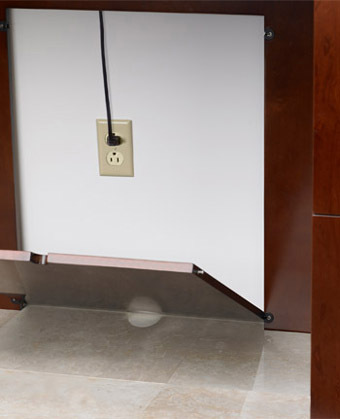 All Credenzas feature a technology access panel for convenient connectivity. 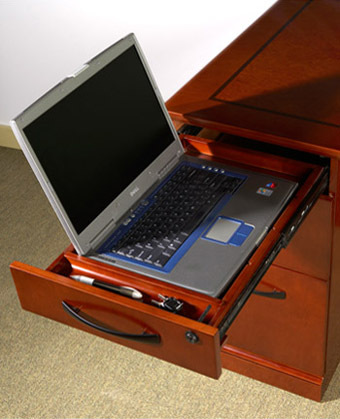 Freestanding Computer Credenzas feature a left-handed Pencil/Box/File pedestal and a right-handed CPU pedestal. 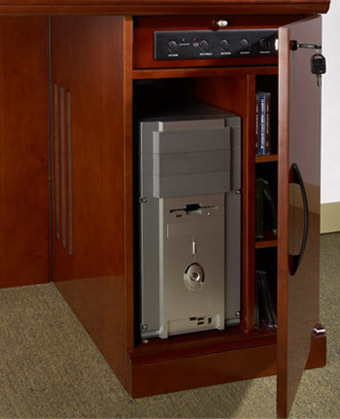 CPU pedestals feature a ventilated CPU tower compartment, three adjustable storage compartments, and a standard power module with outlets for CPU, Printer and Monitor.